Family and friends are what keeps us grounded in life. It’s important to spend time with both. True friendships stand the test of time, no matter how busy life gets. It felt very lucky to be asked to share a day with a close friend and her pampering relaxing birthday treat. To top off the day, we decided to dine in the Studio Kitchen restaurant that was part of the K West Hotel. Even though Studio Kitchen was located just above the ground floor bar and reception, there was not much noise coming through. 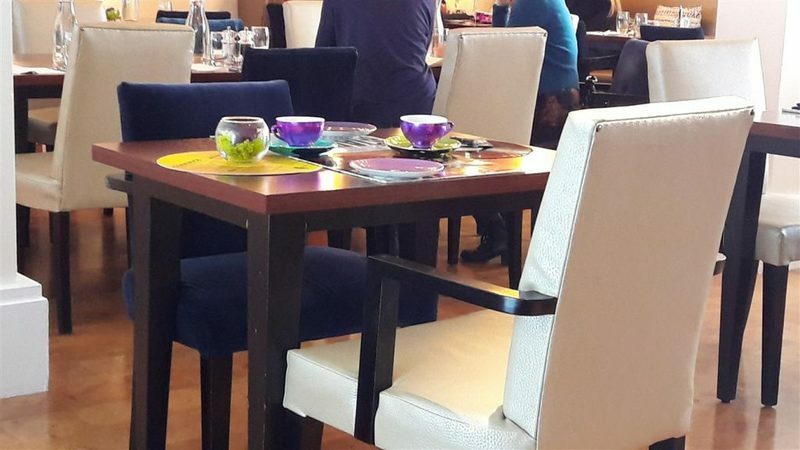 The fairly spacious dining area was made up of cushioned seating and a black and white theme. Clusters of the on trend vintage style Edison bulbs made up the lighting. 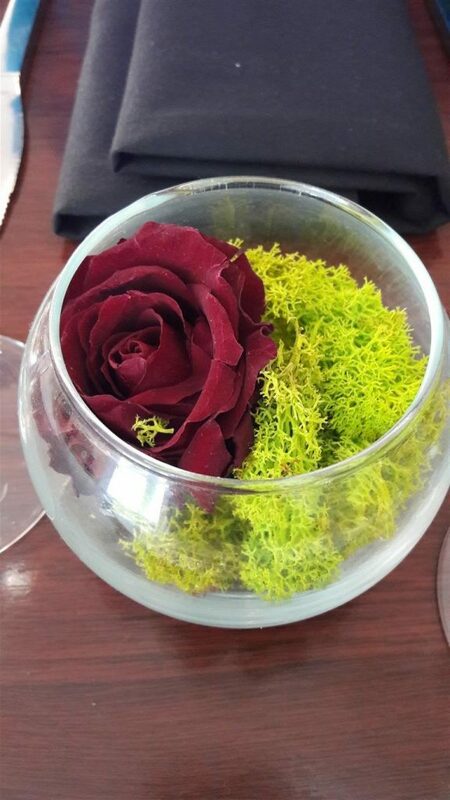 Little bowls with a rose and some fern decorated the tables; simple yet effective. As we browsed the menu, some popcorn was given to munch on. Studio Kitchen had a variety of food on offer including seasonal dishes and hearty and lighter options. 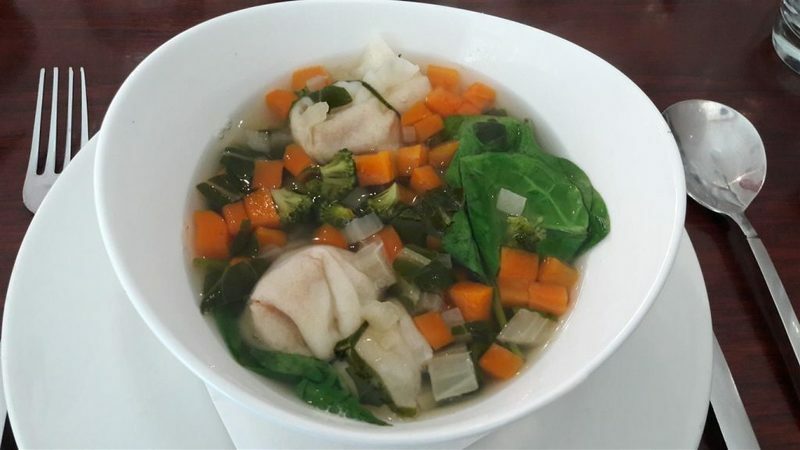 The Summer Broth sounded like something different with kale, spinach and vegetable dumplings. Sometimes clear broth soups lack flavour and as it looks like water, the taste can be just of that. This was far from the case with the Summer Broth at Studio Kitchen. There was so much depth and flavour to this soup. It had the right balance of the spinach leaves, shredded kale, carrot cubes and small broccoli florets. A few dumplings bobbed about in the broth and these were delicious too. The Superfood Market Salad was a great fresh tasting salad. A mixture of rocket, watercress, spinach and kale made up the salad base with a balsamic dressing. 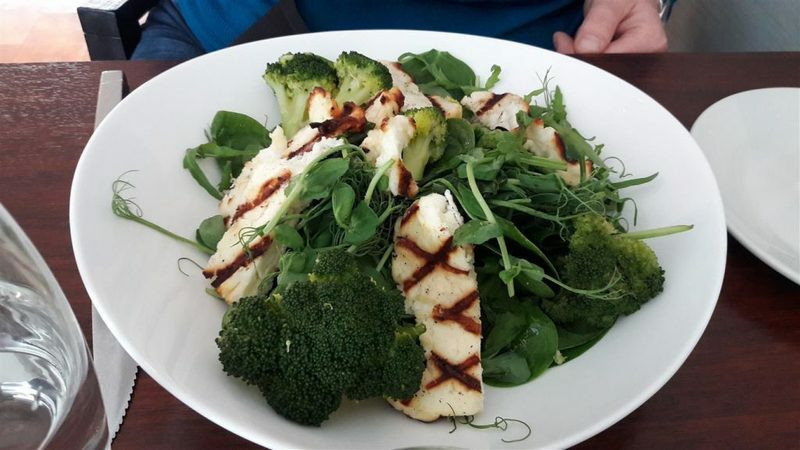 Big pieces of broccoli gave the salad added greens. Both the kale and broccoli were cooked just right. There was the contrast of the beautifully charred halloumi, some pieces sliced and some torn. To finish off our meal, we opted for some Earl Grey tea. 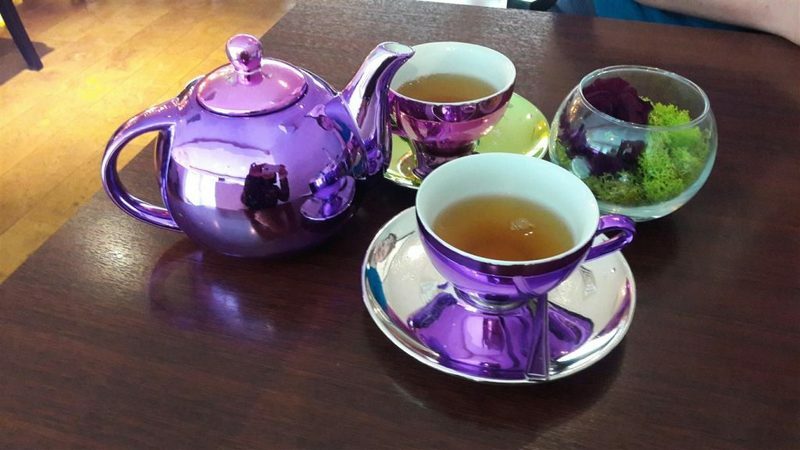 A few times through our meal, we had been eyeing up the shiny metallic purple tea cups and teapot on one of the other tables. The staff were happy to give us our tea in such cups even though they said that that’s the setting for the Glam Rock Afternoon Tea. Shiny things always make things more special! 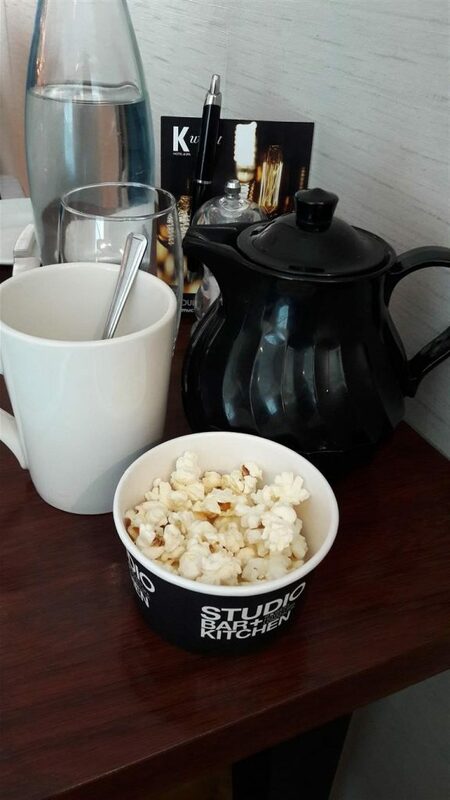 The staff at Studio Kitchen were friendly and gave us good service. They did come and check through our meal if everything was okay. 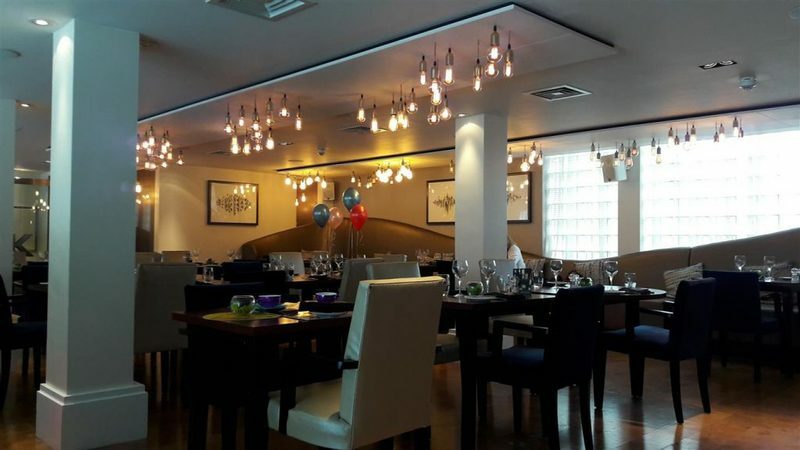 It was only at the end when we wanted to get the bill, it took us a fair while to get the attention of the staff. Studio Kitchen was such a nice place for a relaxing meal with tasty food. It made a great setting for the end of a beautiful memorable day spent with a beautiful friend.